The materials in this area are scientifically designed to bring clarity and order to the child’s world. As the child develops from birth they are receiving many sensorial impressions. With the Montessori material children match different objects, such as shapes, touch boards, or smelling jars. Through their ability to match, clarity is brought to their understanding of these impressions. 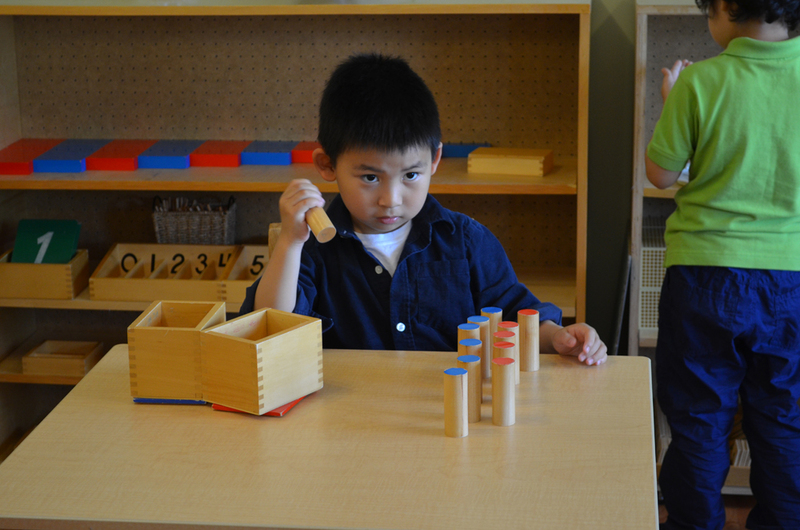 This clarity allows the child to have a greater sense of order and understanding of their world. 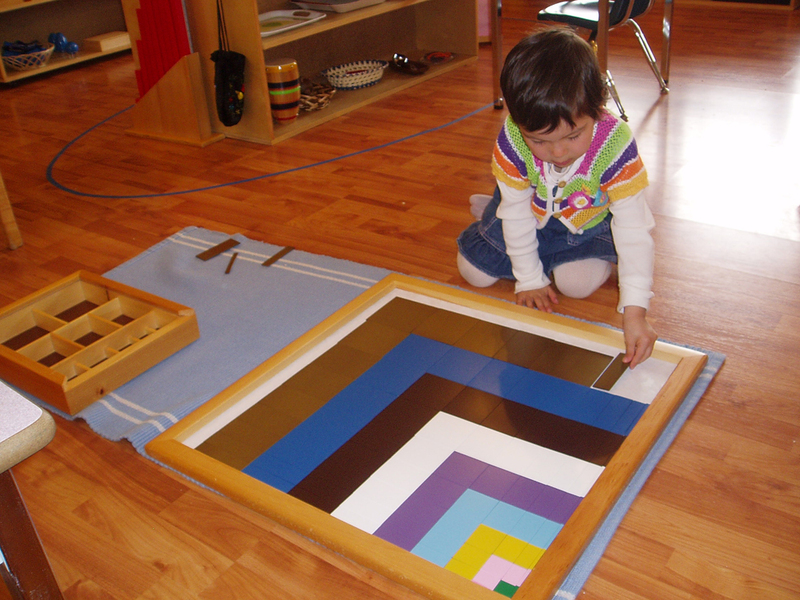 The Montessori philosophy believes that between the ages of 2.5 to 4.5, children are going through an intense period in which they are able to refine their senses. 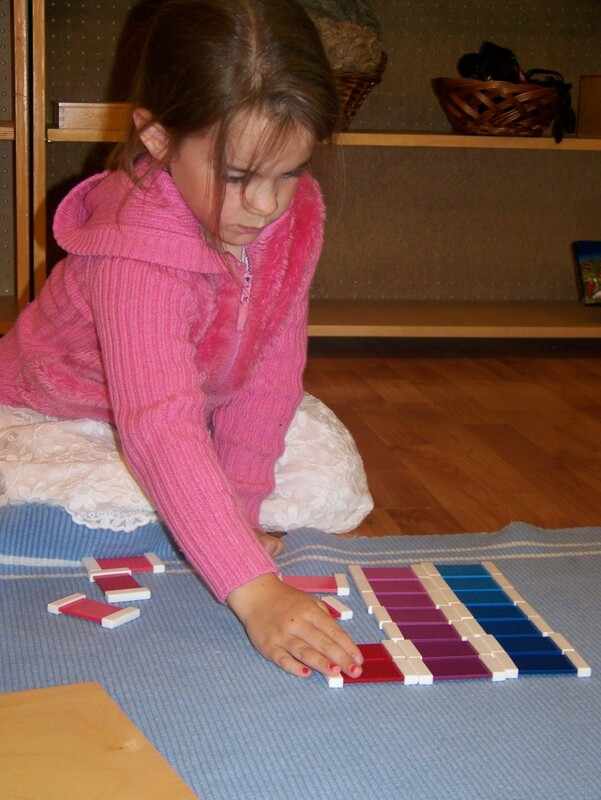 With a clear understanding of different sensorial aspects, such as colours, sounds, and textures, the child then begins to refine their senses by grading colours from darkest to lightest, sounds from loudest to softest, and textures from most rough to least rough. With the advanced sensorial material, the child challenges themselves with the need to discriminate different shapes, sizes, and colours. 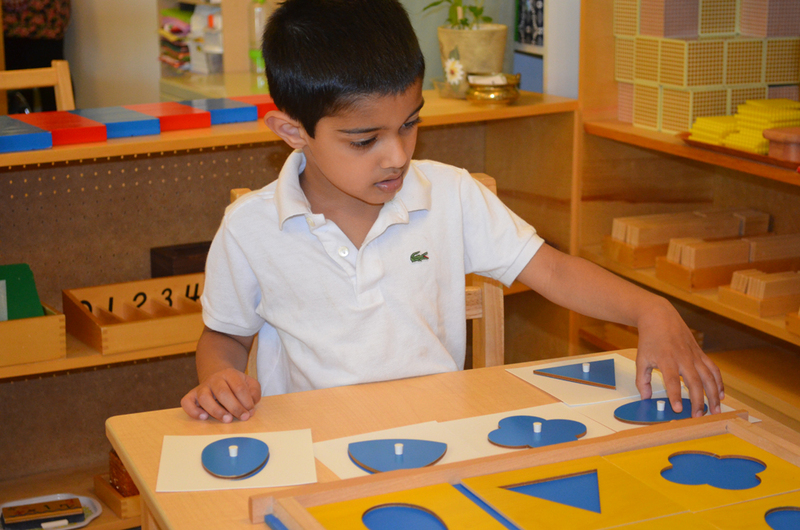 This material is giving the children an impression of mathematical principles they will encounter later.